The Maccabees: "Jamie T's Music Has Always Meant Something To People"
The band also spoke about when Jamie performed with them at Glastonbury Festival and their new album Marks To Prove It. 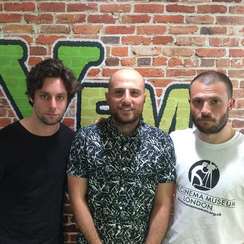 The Maccabees have spoken out about their respect for Jamie T. The band, who are scheduled to release their fourth album Marks To Prove It later this year, were speaking to Radio X's Communion Presents. After requesting Limits Lie by Jamie T, Hugo from the band said "There's something about Jamie's music that it's always meant something to people, especially our age - beyond it just being a nice tune. There's always been a deeper affinity with people that love Jamie's music." "We've always had a shared admiration for his work." During their performance at Glastonbury Festival, The Maccabees were joined on stage by Jamie T himself. "Jamie came and did Glastonbury with us, he did Marks To Prove It, and really there wouldn't be anyone better in the world to come and...join us on the stage. And we sincerely mean that." The Maccabees reportedly took two and a half years to record their new album. The LP, which was largely put together in the band's personal studio in Elephant & Castle, was produced by Hugo from the band. They adopted a strict schedule (working 10am to 10pm everyday) which sometimes "felt a bit like groundhog day." Marks To Prove It will be released on July 31st.